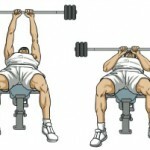 Exercises for triceps are numerous but you have be very alert while performing this exercises. This exercises needs enough power along with stability. Learn well before performing this exercises. Here are some of the exercises best suited for building your triceps muscles. Triangular pushup is very similar to an ordinary pushup. This is one of the toughest and most effective exercise for triceps. While performing this exercise the hands on the mat directly under the chest with the fingers spread and the thumbs and forefingers touching, making a triangle shape. Dips involve both the elbow and the shoulder joints and targets mainly the tricep muscles. Just sit on a bench, begin with the hands next to or slightly under the hips. Lift up onto the hands, bring the hips forward and bend the elbows and lower the hips down. Push back up without locking the elbows and repeat the exercise for 10-16 reps. This bench press is similar like an ordinary bench press, except the syle of holding the barbell. Here the barbell is hold at a very close grip, so that maximum impact can be on the triceps. Skull crusher is a very effective triceps exercise. Just lie on a bench, holding light medium barbell with the hands close together, about shoulder-width apart. Extend the arms straight up over the chest, bend the elbow and lower the weight down to a few inches above the forehead and then squeeze the triceps to straight the arms without locking the joints. Repeat the exercise for 1-3 sets of 10-16 reps. This exercise involves holding one weight in both hands and extending the arms over the head. For performing the exercise sit on a bench or ball and hold a medium weight at one end with both the hands overlapping one another. Take the weight straight up overhead with the arms next to the ears and gradually lower the weight behind the head until elbow are at 90 degrees and finally squeeze back to strengthen the arms, without locking the joints. Repeat the exercise for 1-3 sets of 10-16 reps. This exercise is bit similar like the seated triceps extension. To successfully perform this exercise just sit on a bench, with the abs engaged and hold light medium weights. Lift the arm straight up to the shoulder level pause for a moment and then sweep the arms overhead until the arms are next to the ears. Pause for some moment and then bend the elbows, lowering the weights behind the head until the arms are at 90 degrees and finally straighten up and come back to the initial position. 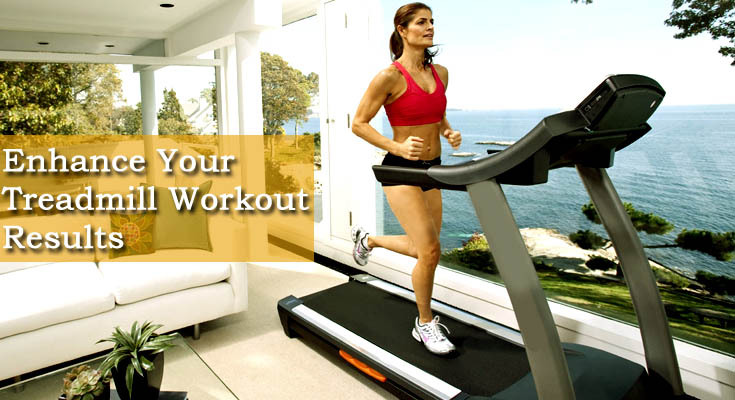 Kickback is generally known as the second most effective exercise for triceps. 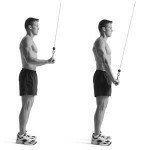 Attach a resistance band into the top of a doorway and tie a lose knot in the band about halfway down. Hold the band in each hand and begin the exercise with the elbow bent at 90 degrees. Now extend your arms, taking the hands down towards the floor, spreading the band slightly out on either side as you contract the triceps. Come to original position and then repeat the exercise for 1-3 sets of 8-16 reps.